Silver - Amethyst There are 3 products. Ancient Egyptians believed that amethyst was protection from anxiety and Sorcery .Tibetans, was considered that amethyst is sacred stone of Buddha . Amethyst beads used by the ancient Anglo Saxons . Amethyst is mentioned in the Bible as one of necklace stones of Aaron. Amethyst usually found in Brazil , Uruguay, Bolivia , Argentina and African countries. 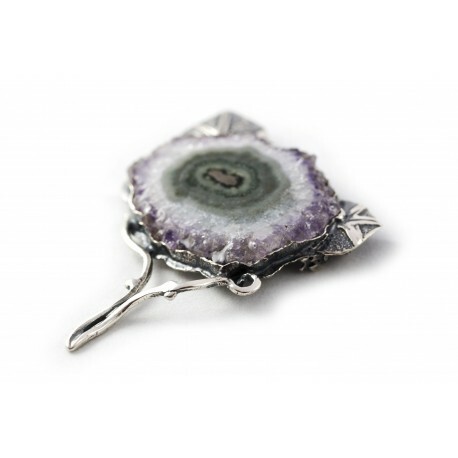 Authentic silver brooch - pendant with amethyst agate. 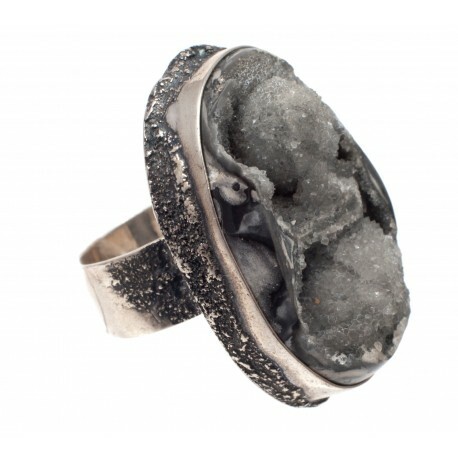 Authentic silver ring with amethyst agate. A unique silver brooch-pendant with amethyst.